In 2014, there were 3,000 participants. This year’s “Inside 3D Printing” Conference in New York City from April 15-17 had 12,000 people registered, from 56 countries, with 88 exhibitors and sponsors. 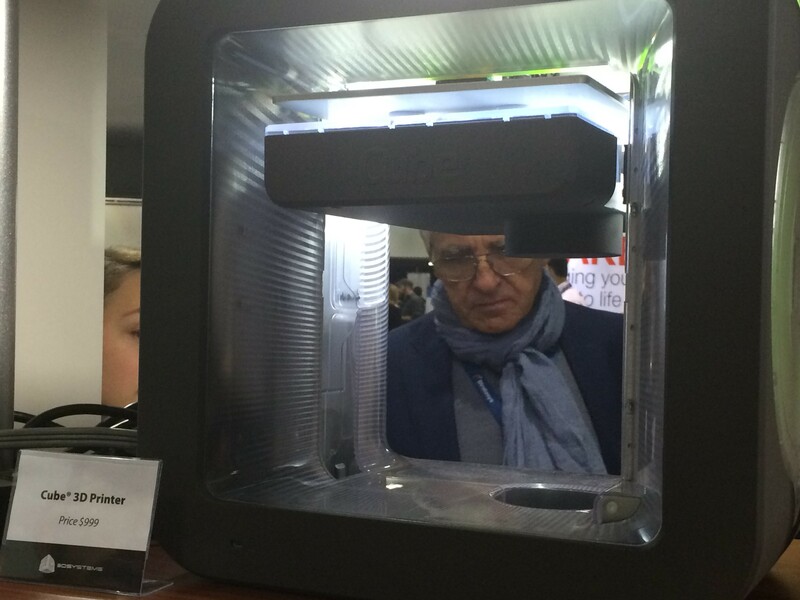 What attracted so many attendees to the topic of 3D printing or “additive manufacturing”? There are questions about the future certainly – the third industrial revolution – but many are drawn to interactive fun activities and applications available today. 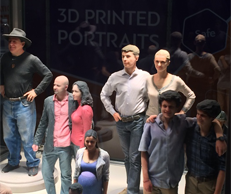 Like the booth from Artec3D that you step into, get scanned, and produce a color 3D-printed mini version of yourself – your own 7-inch action figure! However, using 3D printing machines to create actual life-size body parts for replacement is where it begins to become valuable in problem-solving globally. 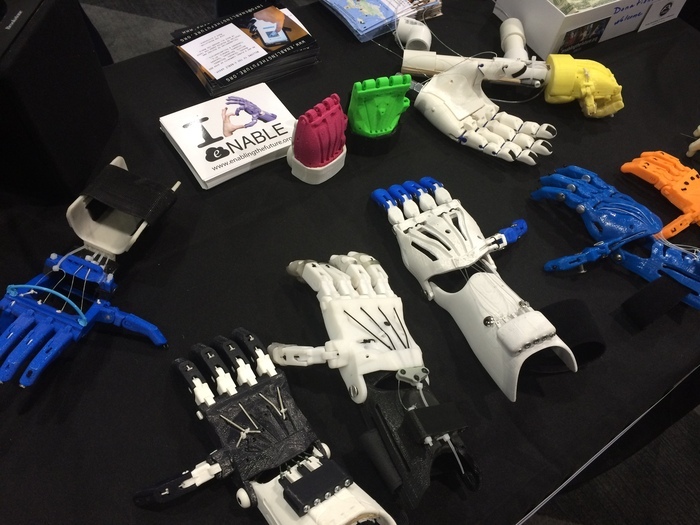 The group e-NABLE creates prosthetic devices, focusing on hands for now. “Passionate volunteers using 3D printing to give the world a ‘helping hand’” is how e-NABLE describes itself. They fabricate prosthetics, send them to the country’s NGO to check the quality, then they start fitting people. Their designs are open source and can be downloaded and 3D printed for less than $50 in materials. What about growing living human body parts? Medical experts and venture capitalists were in attendance with an eye on advancing bioprinting. Engineers, innovators and funders are all looking how to utilize the fast-growing 3D printing technology to be on the cutting edge in their particular niche. Days Two and Three of the Conference were split into talks and demonstrations according to the attendee’s interests or “tracks” – Medical Track; Business & Investment; Food, Fashion & Entertainment; Law & IP; Education & Maker Track; Manufacturing; Art, Architecture & Design; or Aerospace, Defense & Technical Track. Similar to the advancement of other technology and devices, games and toys attract early demand and supply. A Tutorial on Day One was called: “3D Printing and Toy Design: Reinventing Everything.” This pits the corporate overseas manufacturing model vs. the “American Made (in my garage)” culture. Toy customization is a good fit for 3D printing. For example, no need to settle for the market’s various odd-sized furniture that might not fit a child’s doll house size; instead, digitally scaled-down versions of favorite styles are 3D printed for customized congruent mini living spaces. 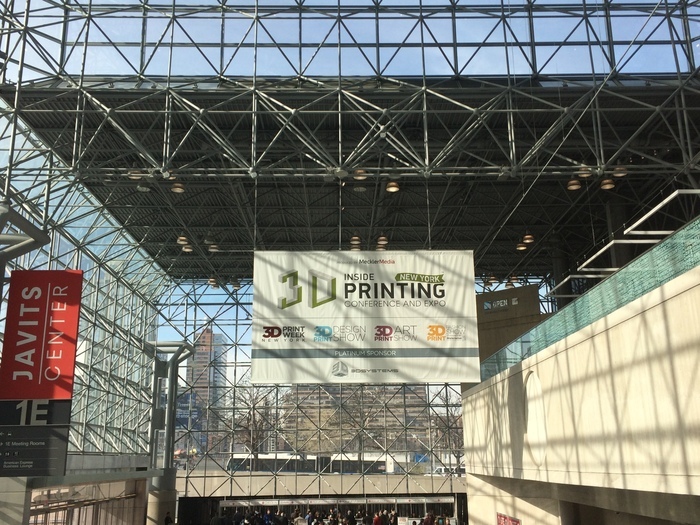 The Inside 3D Printing Conference was held at Javits Center in New York City. 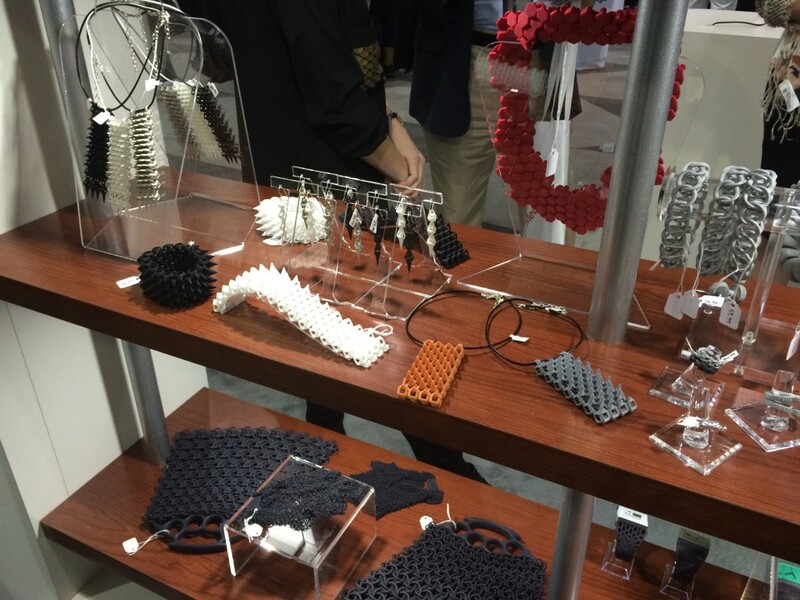 An adjacent space was designated for the 3D Print Design Show, suggesting how artists working with engineers will unlock further potential for 3D printing. There was a fashion show of 3D printed dresses. Other wearables: interesting jewelry, which will be increasingly “green” when the filament can be made of recycled plastic bottles. Labor intensive industries like construction will especially benefit from customization. Companies like 3D Systems are working on prototyping, to figure how 3d printing and concrete will interact. Advances in material science are making it possible to print functional automotive parts from a desktop printer. The Mark One by MarkForged is the world’s first carbon fiber 3D printer. Reinforcing plastic with carbon fiber strands allows printing of parts that are lightweight, and stronger than aluminum parts – ten times stronger than plastic alone. From art to anatomy to aerospace, 3D printing advances will continue to add dimension to our three-dimensional selves.